A town in Bucks County, Pennsylvania, is in mourning after five family members were murdered at the Morrisville apartment where they all lived. Mother Shana Decree and her 19-year-old daughter, Dominique Decree, are charged with five counts of homicide in a case that has shocked the nation. Last week, hundreds gathered at a Morrisville United Methodist Church to pay their respects. “[I’m] speechless, I can’t even describe it. Nobody can describe it, all we can do is be here to help, so that’s what I’m here to do,” said Reverend Ron Dunston with Resurrection Life Church in Bucks County, according to WPVI-TV. The local community is still trying to piece together exactly why the mother and daughter decided to embark on such a brutal murder spree, which left their own family in tatters. Some have speculated that the pair were part of some sort of religious cult, though the authorities have not confirmed anything of this nature. The deceased have been confirmed as Decree’s children. 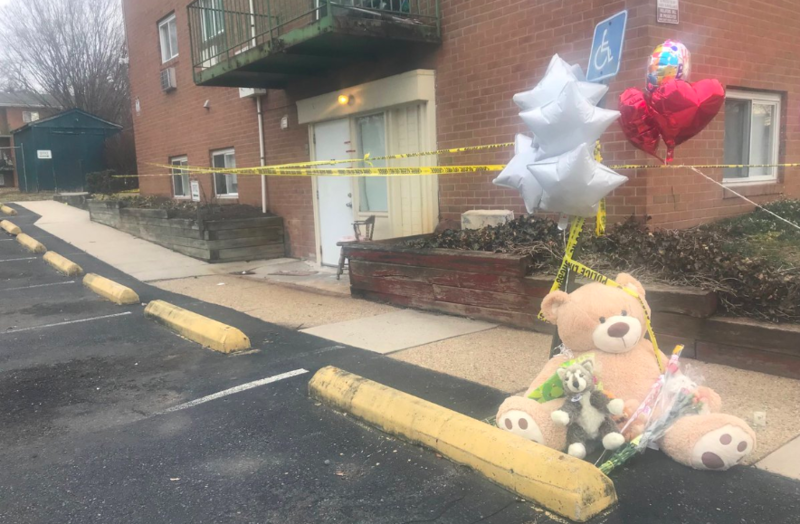 Naa’Irah Smith, 25, and Damon Decree Jr., 13, both of Morrisville, Shana’s sister, Jamilla Campbell, 42, of Trenton, New Jersey, and Campbell’s 9-year-old twin daughters, Imani and Erika Allen. “They were all going through something religiously and they decided to drag the kids into it,” said Destiny Harris, half-sister of the deceased twins. “Apparently, they had dissected into some type of cult that they materialized online. I don’t know how or what kind of cult,” he added. Bizarrely, next-door neighbor Nicole Evans believed Decree and her daughter to be strong women of faith. “We talked about the Lord, we talked about Christianity,” she told WPVI. Residents are horrified that the mother would choose to take the lives of her own kids. “The 9-year-old girls, when I saw that picture [of them], I just started crying, ’cause they couldn’t choose to die,” resident Donna Larkin told WPVI. One of the children’s teachers, Julie Scheiring, spoke fondly of having Damon Decree, Jr., in her class. In light of the palpable grief weighing heavy on this town, for now, the traumatized residents are requesting one simple thing: prayer. “Anyone who is listening, please continue to pray for the town of Morrisville,” Larkin said. Morrisville United Methodist Church has been swinging open its doors to help anyone affected by the terrible tragedy, holding its own memorial service last week. In particular, the church is trying to help comfort the children who knew those who were murdered. Could there be any other possible motive? Aside from the speculation over the mother being involved in some sort of religious cult, there appears to be little clear evidence of motive at the point. However, while the police have yet to state exactly what drove the pair to such a savage act, Morrisville Superintendent Jason Harris did note that Shana Decree had pulled her son Damon out of school two weeks prior to the slayings. Authorities are unsure if this decision was linked to the crime. Do continue to pray for this broken and hurting town.